Celebrating your platonic relationships is just as important as honouring your romantic ones – so treat the Frank Sinatra to your Sammy Davies Jr. this Valentine’s. 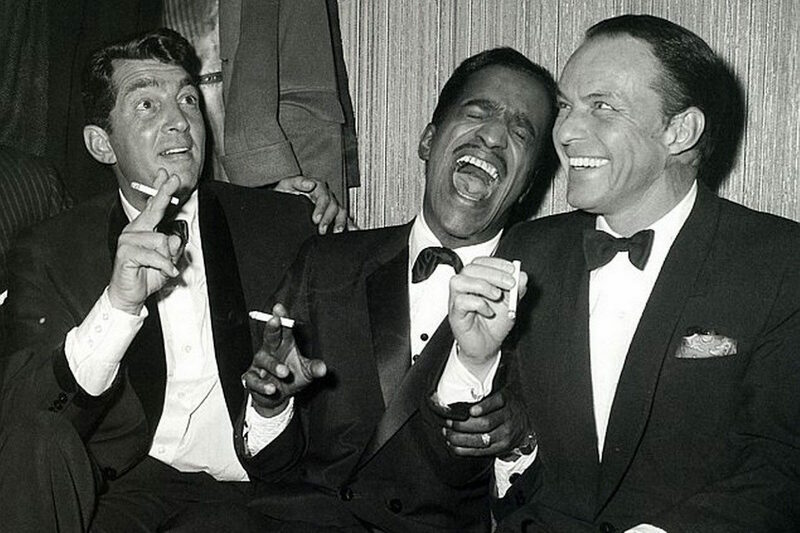 Dean Martin, Sammy Davies Jr. and Frank Sinatra (aka the Rat Pack) enjoy a smoke backstage, 1961. Forget buying gifts for your other half this Valentine's Day, why not celebrate in style with the friends in your life? Few things say ‘celebrate’ quite like a fine cigar, but branching out into pipe territory is risky yet rewarding business. Whilst it’s a big investment, this briar wood pipe from Savinelli would make for a handsome gift for a close friend. For something equally substantial, a gold-plated table lighter like this from Dunhill is the perfect accompaniment for one’s writing desk, whilst a cigar cutter – this one a black lacquer iteration – from S.T. Dupont will never fail to impress. One’s wallet collection can always be improved. Many are guilty of over-stuffing their wallets with numerous receipts, photos and other futile items. With Ettinger’s Sterling Card Case this is not possible, as its slim profile and minimal card slots ensure it stays compact in one’s suit jacket or jeans pocket. Take the wallet diet a step further with Mark/Giusti’s credit card holder – crafted from subtle green calf leather – which is about as slim as they come. Crafted almost entirely by hand, G. Lancelot’s card holder is a great option, made as it is from brown Courchevel grain calfskin, which will age beautifully with time. Aftershave may not be an obvious gift choice for a friend, but it shows thought and is a perfect symbol of loyalty. 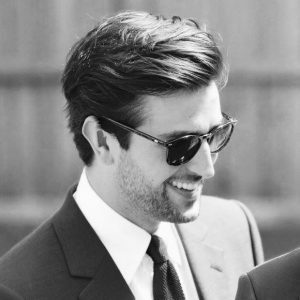 An obvious choice to turn to is Floris – who’s been operating out of its Jermyn Street base seemingly forever – and their 71/72 fragrance, made in collaboration with neighbours Turnbull & Asser. Antica Barbieria Colla is another heritage brand, and its Cologne No. 10 is an excellent choice, featuring notes of juniper, artemisia and vetiver. Finally, Panama’s 1924 aftershave lotion comes in a suitably throwback bottle and will undoubtedly please with its spicy tobacco top notes and undertones of sweet vanilla and citrus.